Hummingbirds are very cool creatures. They flap their wings up to 80 times per second (more during mating season) and are amazingly agile – flying up, down, and sideways with ease. Maybe this is part of the reason that Google’s 2013 algorithm update was named “Hummingbird”. Prior to this update, getting a great SERP was based upon stuffing enough keywords into a piece of content to be indexed and ranked. Google decided to become agiler in its indexing – looking for contextual meaning and the intent of the user in his searches. And so, Google bots become agiler in their crawling. Now we are moving into new territory – voice search. And Google has been ready for some time now – using AI to understand a user’s language, speech patterns, and even accents. It’s all about improving the user experience even more. Siri, Cortana, Alexa, Echo. These were the first. And with apps on every smartphone to conduct voice searches, users now have access to mobile personal assistants no matter where they may be. And do they use it? Yes indeed. 71% of users in the 18-29 age bracket use voice search, and the percentages decrease progressively by age bracket. But even 38% of those 55 and older use it. Recommended for you: SEO Tips: Keys to Ranking for Voice Search in 2018. Performing voice searches can bring less than great results. And sometimes, users must ask a question a few different ways to get the answer they are looking for. But, algorithms will improve with time, and, even if you have to re-form a question, voice search is still faster and more convenient than typing them in, especially on mobile devices. Consider this: In 2013, voice search results had about a 76% accuracy rate. But by the end of 2017, that had grown to 95%. The bottom line is this…if you own a business, then you had better embrace voice search. It is a growing phenomenon that will ultimately take over keyed-in searches. 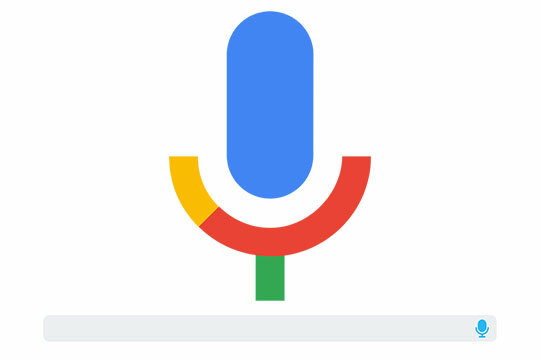 Obviously, businesses that want to be found through voice search will have to make some major changes in their content. It’s not about keywords or even keyword phrases anymore. It is about understanding the language that searchers use – informal, common, everyday language – to ask questions. Typing into a computer involves short terms or phrases. Voice searches contain longer phrases in a conversational syntax. With continued conversation with virtual assistants, AI will perform its learning magic and recognize users’ voice patterns and get better with search results over time. The other important characteristic of voice searches is that they are nothing like long-tailed keywords, and businesses/content creators should not equate them. Long-tailed keywords are not conversational – they are like longer keywords, not natural language questions. 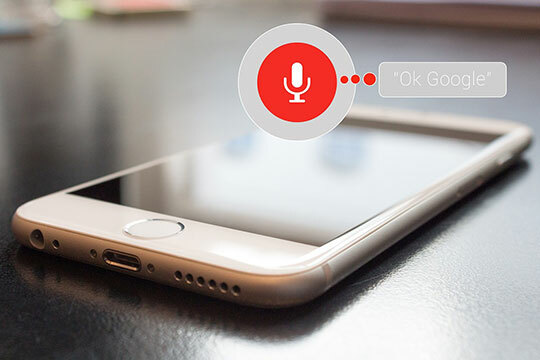 Here are five things you can do to leverage your business for voice search. You already know what keywords/phrases your audience uses or has used for searches, and you have incorporated them into your content. You also have pretty amazing content, either through your own writers or through the use of quality writing services. Your task now is to figure out what types of questions users would ask to get to that content. These will give you ideas of what types of questions your target audience will ask. There are other tools too – Question Samurai and Story Base, for example. Once you have the questions, you will need to evaluate your content and be certain that it is answering them. And if you can incorporate those questions into the content itself, all the better. The technical term for this is schema markup. Basically, it I metadata that goes into your site’s source code and helps search engines organize and classify the content on your site. It’s not easy to do, but it is important. You may have contact information on your site. The markup for it is not seen by visitors but is by search engines. It tells search engines that the specific page is your contact details. So, when searchers are looking for a local business, they may want to know hours that a business is open, an address or phone number, or directions. When a markup is present, search engines can classify the information and provide it. If you are not skilled in coding, get a developer who can do your schema markup for you. Another strategy that will help is to submit a highly detailed sitemap to Google. You may like: How to Make Your Website More Interactive for Visitors? Having a contact page on your site (with a link to it) is really important, whether you are looking for local traffic or for Internet traffic. And with schema markup, search engines will find you. You can also include your hours of operation, a method for messaging you, and, for local traffic, a map, or at least a link to get directions. There are two ways that users will conduct voice searches for local establishments. They will ask far more specifically. “O.K. Google. Where are hair salons near me?” In this case, Google will use the user’s location and then use its Google My Business listing to provide the results. Ensure that your contact information is correct. Get the “Introduction” field right. This is where you engage your audience with a great pitch. Provide enough info about your product or service to garner interest. You will also want to get your listing in all relevant categories. Focus on what your business “is,” not what you offer. You can place yourself in more than one category if they are relevant. Unless someone is using an in-home device, such as an Amazon Echo, voice searches occur on mobile devices. And since Google has already announced its “mobile first” policy, any business attempting to maintain and grow its customer base will have to be “mobile first” too. Whether you have crafted your own site or are using a developer, create your site for mobile devices. The key factors in a mobile responsive design are the speed of load and how the content is laid out. We know that Internet users have an attention span of about eight seconds. If they don’t get what they want within that time period, they leave and go elsewhere. In studies conducted in 2016, it was determined that the 8-second span was for those using smartphones. They will wait about 3-4 seconds for a site to load and need to be engaged within the first few seconds too. Once your mobile site is developed, you can use the Google Mobile-Friendly Test Tool to determine load speed, along with a number of other elements. If your site is not loading quickly enough, Google will make suggestions for improvement. Here’s the thing – text is rarely read (about 5% of users actually read the text). So, how do you get your important content across? You do so by using lots of headings that will allow users to scan your content and only hone in on what they want or need. Other strategies? Use a very simple vocabulary; use short sentences or phrases. If you need to check your content for readability, you can use sites like Grammarly that will give you a reading level. While that ideal level is the about 7th grade for “regular” content like blog posts, it should be even lower for mobile sites. And anything you can present visually is better. Once you have used the tools to generate the conversational questions that your audience may use to find you, you are ready to take those needs and pain points and craft blog posts that specifically speak to these. While FAQ’s can do this in part, they are not substituted for an amazing blog post on the topic. As mentioned above, evaluate your current pots and refurbish them. But more important will be to use these questions for any new content you post on your blog. If you can keep answering questions, and do it often, your chances of moving up in voice searches will dramatically increase. And there is a great side benefit. Once you focus on these questions, you become an “expert” in your niche. And those followers will be more willing to share your content with others. When that happens, your chances for increased sales also increase. You may also like: 25 ECommerce Conversion Hacks to Make the Best of your ECommerce Venture (Infographic). Are there Alternatives to Google and Bing Voice Searches? Okay. so, here is some straight talk. Google and Bing have a corner on the market right now in terms of the apps that consumers use to conduct voice searches. And that is why so much of this post has addressed what Google is looking for (Bing is looking for the same). But are there are search tools that some consumers are using? The answer is yes. There are a few with a relatively small number of users – Dropbox for Gmail and Hound (used primarily in India and a few other smaller countries), Voice Search App with History, and Amazon Fire. None of these is presenting any real competition to Google or Bing, and any real “threat” to these big boys is not on the horizon. 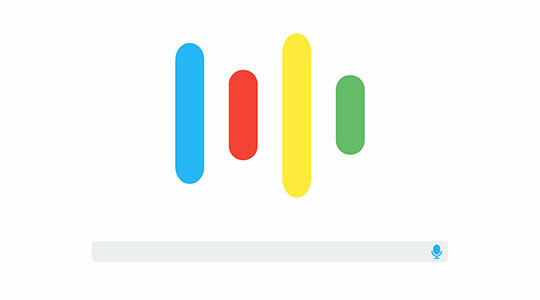 Voice search is here to stay, and it is growing. Consumers simply want the easiest way to find what the want (products, services, directions, information on celebrities, etc.) and they are spurning the need to type in their searches. What’s more, consumers want more specific information than just typing in keywords or keyword phrases will provide them. If they want to know the movies an actor has been in, for example, they don’t want to see ads for Netflix and extraneous information to pour through for that answer. While voice search is not yet preventing all of this, it is definitely getting better. As AI continues to advance, moreover, voice searches will improve with that technology. For businesses and content marketers, the choices are clear: they can get on board, embrace that voice search is going to be a mainstay, and begin to optimize their content accordingly. Or, they can ignore this popular trend, continue to create the same content, rely on keywords and ads, and hope for the best. The problem with this approach is that as the 18-29 age group continues to age, and Generation Z moves on up, typing in searches will become a clear thing of the past. It’s time for the hard work that is involved in optimizing voice search. But the payoff will be well worth it. This article is written by Preston Felix. He is a graphic designer, traveler and freelance writer for Rewarded Essays. He is passionate about covering topics on blogging, traveling, business writing and self-improvement.